1. Trade water cooler gossip sessions for water sports sessions! 2. Get away from that stale and stagnant office air and enjoy the air of the cool, crisp outdoors. 3. Say goodbye to your daily commute and say hello to boat rides, and other creature comforts. 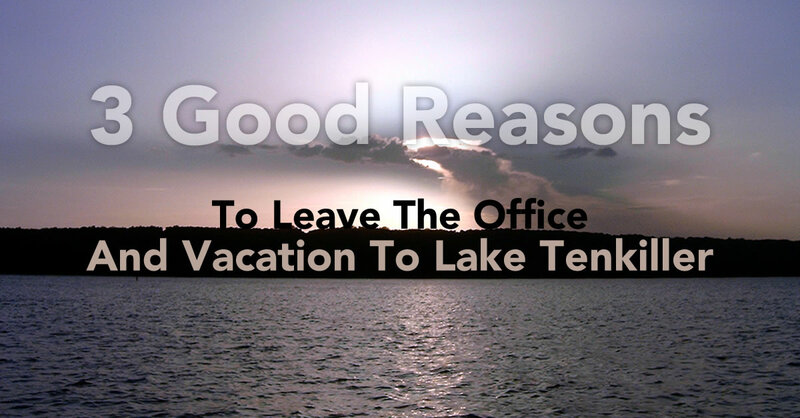 This entry was posted in Lake Tenkiller, Oklahoma Family Vacations, Oklahoma Retreats, Oklahoma Things To Do, Oklahoma Vacation, Terrapin Peak Bed, Breakfast & Beyond by Genny. Bookmark the permalink.